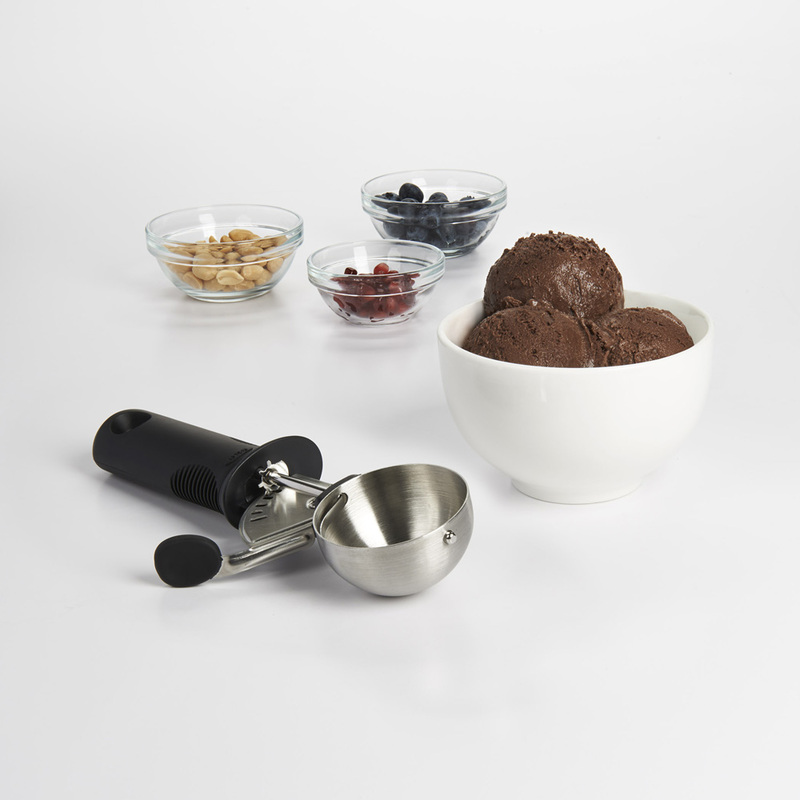 Use the GOOD GRIPS Trigger Ice Cream Scoop for perfect scoops of ice cream. 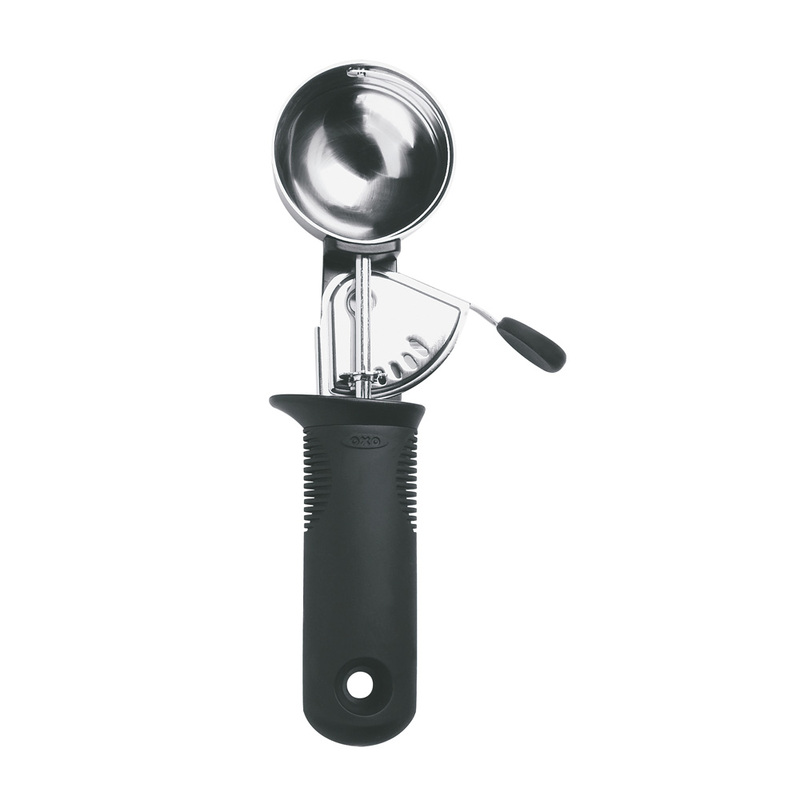 This Ice Cream Scoop releases large round scoops of ice cream with a simple press on the lever. A tab on the Ice Cream Scoop keeps your hand from sliding up as you scoop, and the soft, non-slip handle relieves pressure on your hand. Size: 20 x 7,5 x 2,5 cm.